Even bonus points for cuteness can't redeem these lackluster used cars. We’re all in favor of buying used when it comes to car shopping, and we’ve previously rounded up the best affordable used vehicles. However, not all used cars are created equal. Some will provide you with miles upon miles of driving fun while others might just leave you stranded on the side of the road. So what makes a vehicle fall from grace? Poor reliability scores, cheap materials, and performance shortfalls all contribute. Don't let poor reliability ratings land you here. According to U.S. News and World Report, these are the 5 used vehicles you should avoid like the plaque. If you are considering one of these cars, we won't judge. We will, however, provide a better-rated alternative for each. No matter which model you go with, make sure you get it inspected by a mechanic and get your hands on a vehicle history report before the purchase. The 2013-2015 Jeep Compass (average price: $12,310) falls to the bottom of the U.S. News and World Report list of used compact SUVs due to cheap interior materials and lackluster on-road performance. Its engine options and suspension are inferior for the segment and the below average reliability rating of 2/5 makes you think twice about going with this model. Luckily you won't have to look far and wide to find an alternative. There is a solid one within the Jeep family in the form of a 2011 Jeep Wrangler. The 2011 Jeep Wrangler (average price starts at $14,349) will give you the off-road capability you're looking for and better overall ratings than the 2013-2015 Compass. It is ranked #4 top used SUV by Kelley Blue Book (KBB) thanks to a powerful V6, 4WD and plentiful cargo space. The 2013 Chevy Impala (average price: $9,290) landed on this list not because you might be mistaken for a cop, but because of the underwhelming cabin materials and even less impressive handling. Buying a used Chevy Impala isn't all bad news. Its powerful V6 engine, as well as its roomy interior and trunk, make it a sedan worth considering. You'll just want to skip ahead one year to the 2014 model. Thanks to a full redesign, the 2014 Impala (average starting price: $14,622) is a wiser choice than the previous year with an improved interior that offers more space for passengers, more safety tech features, new and improved electric power steering, and better suspension. Too bad the really good Impala is going away after this year. It was canceled by GM due to declining sedan sales and the need to invest more in autonomy and electrification. We're fans of the wagon segment in both new and used form due to its seamless marriage of cargo space and car-like performance. That being said, the 2013 Volvo XC70 (average price: $19,030) lags behind its competitors. The reasons include a below average reliability ranking of 2/5, sluggish acceleration and poor handling. The rather dated infotainment system is also reason to stay away. New Volvos are way better. The 2010 Audi A6 Wagon (average starting price: $12,354) is ranked #1 in the list of top used wagons under $20,000 according to U.S. News and World Report. Thanks to its plentiful cargo room, sporty handling, and standard All-Wheel Drive, you won't regret swapping the Volvo XC70 for this alternative. You'll also score better reliability than the XC70 has to offer with an above average score of 5/5. There is no denying the 2013 Smart ForTwo (average price: $4,446) will save you serious money on fuel costs, not to mention its uncanny ability to fit into virtually any parking spot. Unfortunately, its small size, low price and cuteness factor can't make up for some glaring shortfalls. First of all, there is no cargo space to speak of. Secondly, you may find the cabin to be loud due to poor insulation in this model. Finally, below-average reliability scores of 2/5 make it a not-so-smart choice. You can keep the excellent fuel efficiency and gain extra cargo and passenger space with a used 2010 Toyota Prius (average starting price: $7,401). It made the KBB list of 10 best-used cars under $10,000 and will offer an EPA-estimated city/highway fuel economy ratings of 51/48 mpg. 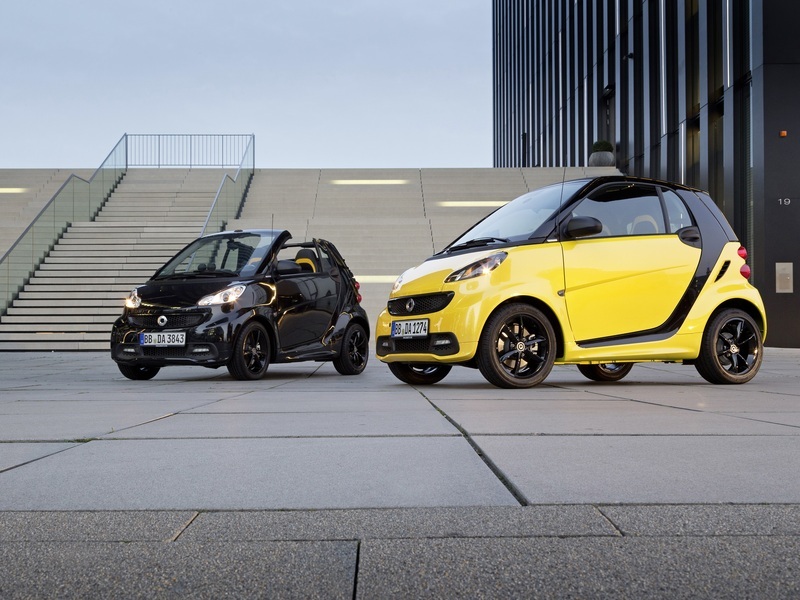 Another reason to choose it over a Smart ForTwo is that it offers a much quieter ride. The 2013 Land Rover LR2 (average price: $18,750) may look great, but that's where the list of reasons to buy end. The model was discontinued in 2015 which likely has something to do with its slow acceleration, harsh ride, and poor fuel economy. Just like the rest of this list, the LR2 is not a winner in the reliability category with below average (2/5) ratings. A better choice than the Land Rover for a used luxury SUV is the 2014 Mercedes-Benz GLK-Class (average starting price $19,759). With an above average reliability score of 5/5, a fuel-efficient diesel engine, off-road capabilities, and a luxurious interior, the GLK-Class gives you all the features of the LR2 and many more.